Well, my baby Dave was born, but I did not get to see him until much later. Even then, I was not allowed to hold him as he was surrounded in all manner of needles and pipes. Hubby just showed me a photo of my baby when I inquired. He did not sound very excited as I anticipated, so I imagined the worst. The next nine days were my hardest days as Dave was moved from HDU to NICU. Some doctors were not so encouraging, while others were forcing me to ‘think positively’ so that milk could come in. We were even counselled to prepare us for any eventuality. We prayed and hoped and prayed and hoped. And God indeed answered our prayers. We went home a complete family after ten agonizing days. But still, I was left with many questions, and a feeling of disappointment. I felt that I missed a birth experience. It felt as though my abdomen had just been torn open and a child extracted. I hated the painful scar that was left. Needless to say, the scar eventually healed and I basically moved on with life. In August 2016, we discovered we were pregnant again. We were elated! My heart’s desire was to deliver vaginally. 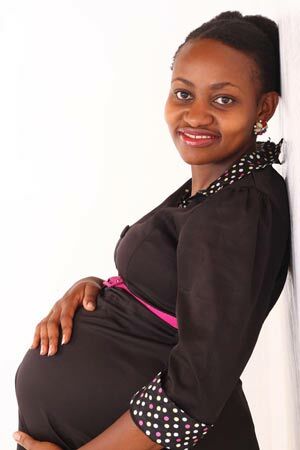 The first trimester was relatively smooth, and I did my regular clinic visits. I kept telling my gynecologist that this time, I was going to deliver naturally. He would say that while it was a good idea, we would comprehensively discuss the possibility of doing so towards my third trimester. Meanwhile, we researched about VBAC (Vaginal birth after C-section). I got a lot of information from the internet. In one of my clinics in the hospital, I mentioned to the doctor on duty that I was considering natural delivery. She gave me very useful information on how to choose a doctor for this. In my research, I learnt that many Kenyan doctors were not keen on performing VBACs due to the risks involved. They are (understandably) afraid of litigation (possible lawsuit) in case the procedure goes wrong. However, we were adamant that we needed a gynecologist who was willing to take the risk. Thankfully, we found one who was more understanding. He encouraged us to give VBAC a chance. He first advised that I watch my weight. By then, I was already addict to soda and biscuits! In my third trimester check-ups, I was advised that my baby was big, and trying a scar (VBAC) was now quite risky. Can you imagine I started begging my doctor to give me a chance to labour? I was ready to go the whole way, but the scans were showing the baby was 3.6 – 4.6kg. I was devastated. This may sound weird to not want your child to add weight, but the risk of uterine rapture increases as the baby grows, as it stretches the previous scar. Granted, I figured it was my fault that the baby was adding weight very fast. This meant that my chances of VBAC were getting slimmer as I drew nearer towards the D-day. I had to think fast. I was ready to do a detox program to ‘reduce’ the rate at which baby was growing. Ignorance is bliss I tell you. Anyway, we agreed that I cut down on my calorie intake. I knew the culprits were biscuits and soda. I was also advised not to rush into hospital the moment I felt labour, as this would diminish my chances of normal delivery. As I said earlier, medics are not likely to take chances with such a situation. In fact, I was advised I could wait up to 4 hours before heading to hospital incase my waters broke. Armed with the information and the resolve to try labour (you must notice at this point it became a ‘trial’’ and not a surety any more), I got my confidence back. On 8th May 2017, I woke up at 4am to go pee for the umpteenth time. When I stepped down however, I heard a dull ‘pop’ sound but didn’t think much about it. but as I stood up to walk, I saw fluid gushing through my clothes. I was in shock! Surely I couldn’t have peed on myself. Labour! I was 39 weeks and 4 days. I excitedly woke hubby up to see the miracle of water breaking. The biggest miracle was that the fluid was clear. From my previous experience when the doctors broke my waters during my first pregnancy, it was dark green. I vividly remember the green stain on the hospital bedsheets, and apologizing to them that I had messed up their bed! I immediately took my birthing ball and started bouncing on it, while listening to some inspirational talk. My plan was to wait four hours before starting my hospital trip. We were staying in Eastlands and the hospital is in Hurlinghum. At 7.30am, we finally left for hospital, using Jogoo road. That time, the road was under repair. We were moving at snail’s pace. My hubby, who was driving, tried to be calm. In between my breathing, sobbing and talking, he was able to hold my hand and smile at me, and remind me that the baby was getting nearer. Not good enough. Eventually, we had to use the wrong side of the road and just speed through. By this time, I was sweating and in excruciating pain. We finally got to the hospital at around 9.30am. I was admitted and the first activity was to check how much I had dilated. For me, this is the scariest part in pregnancy. I ask again – the finger insertion exercise – isn’t there another way of checking? I really don’t like that experience at all. I even tried tricking the nurse into not doing it. Then my doctor showed up and after much cajoling, I let them insert their fingers. I was 8cm dilated! I wanted to do a happy dance, but the pain! Anyway, I was advised to start walking around so the baby could descend. Because I was a high risk case, I was not allowed anything to eat/drink anything. Not even water. In my opinion, hospital staff are quite risk averse, and for good measure. Surely a glass of water wouldn’t make my uterus tear? I was thinking that after 8 cm, the baby would just slide out. But I labored for like two hours. Such pain that I thought I would lose my head. At some point I would even go dizzy. The nurses had to keep monitoring the baby’s heartbeat, because of my caesarean section history. It wasn’t funny moving from sitting, to walking, to lying. Eventually, the ‘good feeling’ came. I was so ready to deliver. I was quickly rushed to the delivery room. I was sure I would just push once and baby would come out screaming. But this was not to be. I pushed and pushed and pushed. Nothing. In a moment of desperation, I whispered to my gynecologist to allow me a sip of my favorite soda and the baby would just slide out. He refused. I know how to sweet talk, so I offered not to drink the soda with my mouth but it could be put as drip. Nothing worked. Meanwhile, the baby was monitored constantly, and I was advised to notify them if I felt any sharp pain (that would indicate raptured uterus). Thankfully, that didn’t happen as I pushed and the head came out! And out came baby, with a cry. I had indeed given birth! When my son was placed in my arms, I was in tears. 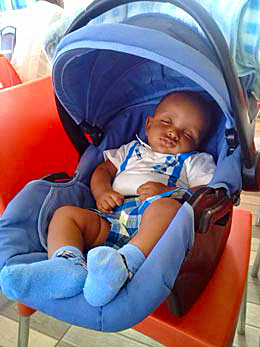 He weighed 4.12kg How could God have been so gracious to us? He had promised and he had fulfilled. We named him Ahadi. This shocked the medical personnel in the hospital, as trying a scar is a risk, trying a scar with a 4kg baby is a what? I got a tear, which was stitched like a piece of cloth; with a needle and thread. Having gone through both experiences, I would go for a third, even fourth, delivery naturally. However, I believe that birth, whether naturally or through medical intervention, is a miracle. It is a real sacrifice and an experience. Trust God. God has the last word. He is, after all, the maker of your body. Listen to your doctors. This is their field. 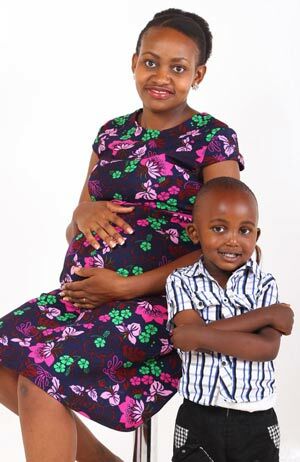 Their main aim is to have a healthy mother and healthy baby. But for real, tearing of the uterus happens VERY rarely, and mostly only if the last scar was vertical. And that is Mercy’s story. Once again I say that this is HER story. Every woman’s birth experience is different. Talk to your doctor, and listen very carefully to what they say. Ask all manner of questions. Also, listen to your body and listen to your inner voice. 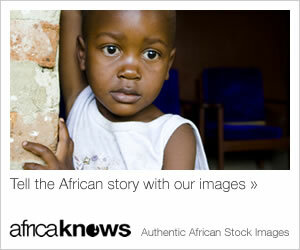 Do you have something to comment about Mercy’s story? You can do so in the comments section below. 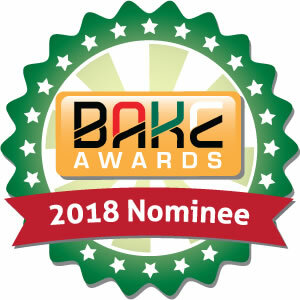 Meanwhile, this blog (Mummy Tales) has been nominated for a 2018 BAKE award -in the Best Topical blog category. I will greatly appreciate if you could take some minutes of your time to vote for the blog. Kindly click on this link to cast your vote (go to number 11. e) and thereafter scroll down to the bottom of the page to submit your vote. Many thanks for your time.